Take your bubbles anywhere with the BIBO Fizz Go Handheld Sparkling Water Maker. This compact and sleek portable carbonator helps you to create fizzy water while you are on the go, ensuring you never have to be without bubbles. It is the perfect lightweight travel companion that fits easily inside any piece of luggage or drawer, and it comes with six free carbonation cartridges to get you started. 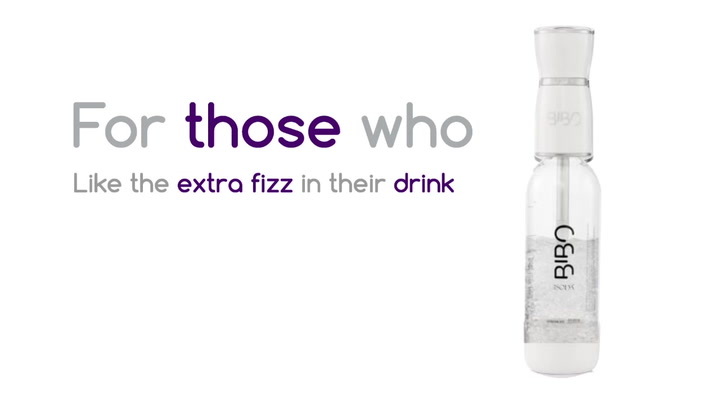 Save R150 when you buy the BIBO Fizz Go Handheld Sparkling Water Maker. While stocks last. View more from Gifts for The Health Conscious, Novel and Unusual Gifts, Soda Machines, BIBO. This works out as really good value for money at about R10 per litre of sparkling water or juice. It looks really funky and is very easy to use. You will be the envy of other picnickers. As I said, for me this is the best invention since the wheel. I love soda water and when traveling it's difficult to find a store. Who needs a store now with my BIBO!!! Well done on a great product. 1. Canisters aren't cheap, so works out roughly the same price as commercial sparkling water. 2. It doesn't make a full litre - there are marked points that you fill to for different fizz levels, and you'd need to top up with water after.